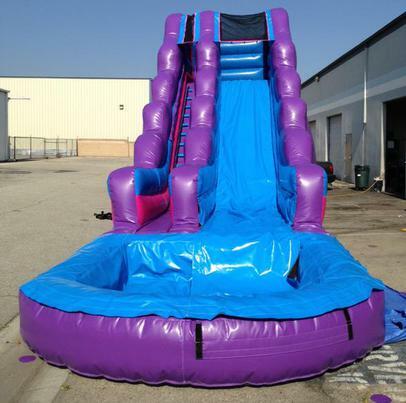 Cool off this summer with the Purple Passion Water Slide! This slide is a 18ft Water Slide with a pool at the end. 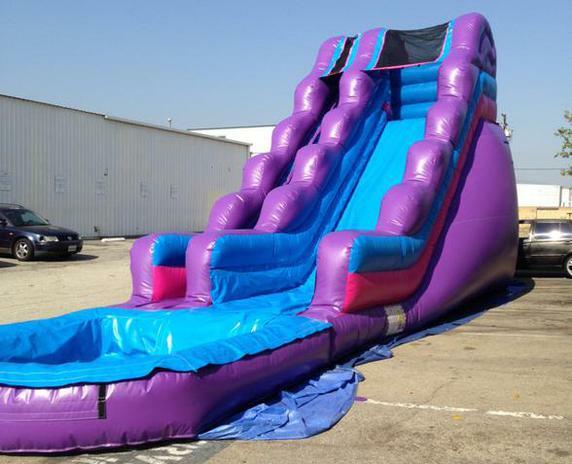 The Purple, Blue, & Pink colors make it a very bright slide that stands out at any event. 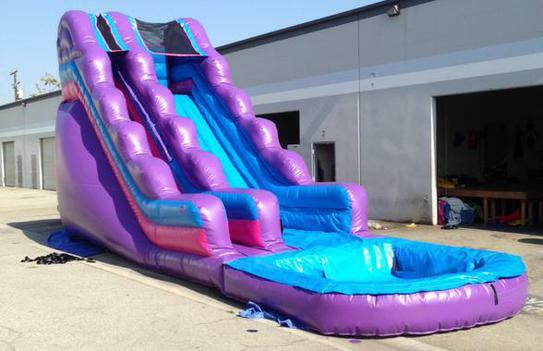 You will not find another slide like this, it was custom made for Show It Off, LLC.